AUTOMATIC & 4 Wheel Drive. ZERO £0 Road Tax and No Congestion Zone Charge. 22 Miles - using electric power only. And a great drive ! 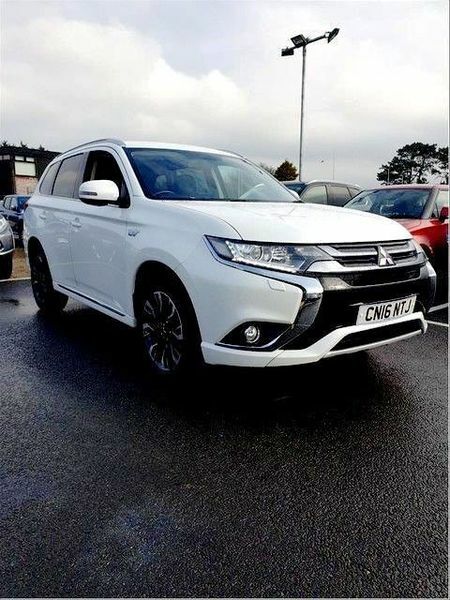 Brilliant Mitsubishi Plug - in Hybrid 2016 registered in White with Black Leather Trimmed Seats & Interior. Sale price includes a new MOT & Service. Also includes 12 months RAC Recovery and 6 months RAC Platinum Parts & Labour Warranty which can be extended up to 1, 2, or 3 years at extra cost.